I was an honest man when my father-in-law began to die. It took me the first twenty-seven years of my life to become a consistently honest man, a scrupulously honest man. I was not a habitual liar, but I grew up wanting to stay out of trouble with my parents who were not of a forgiving nature, and so I lied. During my teenage years the fabrications multiplied as I tried my best to live free of parental rules and regulations. I didn’t lie to get anything in particular, I lied to stay out of trouble. Do you realize what time it is young man? I started lying for personal gain during the early years of my marriage when money was hard to come by and even harder to hold on to. I would tell any number of tall tales about automobile repairs and broken-down refrigerators to convince my wealthy yet retentive parents that their money, so painful for them to part with, was at least going to some practical use. What? More money? Again? We just gave you $400 to fix your car! The refrigerator stopped. The repair guy is here right now. I’ve got to get it fixed so the food won’t spoil. Then, one day, the lies stopped. I was no less impecunious, but something happened that changed my perspective. I became a father. I began to question just what kind of father I would be in the eyes of my son. I knew what kind of father I wanted to be, and so I set out to become that idealized person. I had many weaknesses to address and redress, but the first, most important task was to become a completely honest man. Honest in all things, at all times. I knew the foundation of morality, character and wisdom had to be honesty. Without honesty life is a house of cards, susceptible to the slightest breeze of truth. I began to test myself. If a waiter forgot to charge me for some item of food, I insisted that it be added to my bill. If a cashier gave me too much change at a store, I returned it. In fact, I paid particular attention to the most trivial transactions and interactions. I had much to atone for. And I was tested. An inordinate number of people dropped money from pockets and purses whenever I was around. Clerical errors in my favor abounded. The kind of happenstance I constantly wished for during my most poverty-stricken years now occurred with peculiar regularity. I still do not know if this was an odd coincidence, a divine test, or just the sort of thing that happens all the time, a normal state of affairs which I became acutely aware of only because of my near obsessive desire to make amends for a lifetime of ethical lapses. You only charged me for three of these cookies, but I’ve got four. That’s OK. We’ll catch you next time. No, please, let me pay you for this other cookie. Don’t worry about it. It’s OK. I cannot leave here without paying you for this cookie. By the time I was forty-two, my honesty was habitual. A reflex. It must also be said that no being of human dimensions can achieve perfection, but I tried. I became prideful of the opportunity to display my honesty at every turn. In my professional life as a newspaper reporter, a career begun after my first son was born, I sought out dishonesty with a missionary zeal. I would recount the lies of various miscreants, their attempts to cover up their lies, their false claims of being misunderstood and quoted “out of context,” and finally their apologies. I was instrumental in destroying their reputations and shaming their families. They were ultimately responsible for their own behavior, but I was merciless. There’s no more fierce advocate for the truth than a reformed liar. Former school superintendent Peter Snyder, convicted last year of embezzling $2.7 million from the Valley Unified School District, was stabbed to death in a San Diego County prison yesterday. “He was a good man who made a bad mistake,” said ex-wife Theresa Snyder who divorced her husband two months after his conviction. Does honesty have limits? Should an honest person lie to avoid hurting the feelings of friends and family? Does honesty require you to tell your mother her new outfit is forty years out of date and her hairdo makes her look like Bozo the Clown? Surely we are not required to voice every subjective opinion in order to fulfill the requirements of honesty. A reluctance to express opinions and preferences, after all, is not a masking of truth, it is a refusal to engage in momentary, subjective assessment. I think it brings out the real you. And yet when it came to my personal beliefs, I never put the slightest tarnish on the truth. 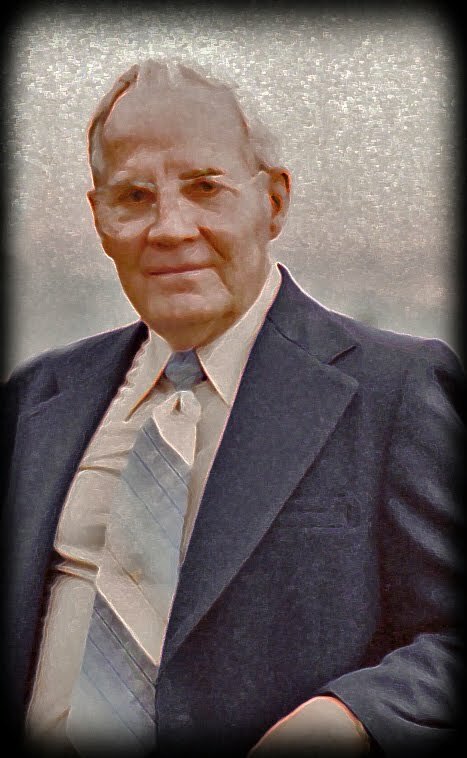 My late father-in-law, a physician, was a deeply religious man. Soon after I began dating his only daughter, I felt no reluctance in telling him just how medieval I thought his particular religion was. How can you actually believe your religion is the only true religion? We trust in the teachings of our church. Did it ever occur to you that your self-serving religious leaders just might be wrong? We have no reason to doubt them. My wife and I were subsequently married without her parents’ blessings, and only over the course of years did my relationship with the two godly souls that were her parents, soften. Most of the softening came with the birth of my first son, their first grandchild. And so were we all changed by the miracle that is a newborn child. I learned to hold my tongue while simultaneously developing a genuine interest in the weather as a topic of conversation. I returned to college and majored in journalism, a profession which is supposed to be about the truth. My father-in-law admired my determination to finish college while working odd jobs to support my family. He had entered medical school late in life after serving in the Army and knew only too well how hard it was to attend classes, study, be an attentive father and still earn some kind of living. My second son was born three years later, between semesters, and the bond between our families grew stronger. Religion was not a subject for conversation, but in all other matters, our relations became cordial. About five years later, Grandpa Doc, as my father-in-law became known to our sons, retired from medical practice. He was a kind man who left many brokenhearted patients behind when he moved to the small Northern California town of Paradise. Yes, it’s actually named Paradise. Moving was his wife’s idea, for she was the font of all religious discipline in the family and believed the big cities would soon fall into chaos, what with the Second Coming nearly here. The small town of Paradise was indeed a beautiful, if not remote, place to live, but it left him bereft of friends and familiar landmarks. It was a cold turkey retirement. And a few years later, his isolation grew as his mental faculties failed. And so Grandpa Doc traveled between comprehension and confusion, never fully surrendering to confusion, always fighting his way back for a while. I watched his struggle, and it was during our last visit when he asked me The Question. He was in the hospital and we were alone together. His wife had left the small, sterile room to get a drink of water and my wife went with her. He was lying flat on his back with only a small pillow under his head, confused, but not scared. He looked at me and smiled with the same unassuming manner that had always been his way with patients, especially when broaching the subject of bad news. How does it look? Do you think I’m going to pull through? He was counting on my honesty, asking me to confide in him. As a physician, he was only too aware of the fiction of reassuring words from friends, family and medical professionals who have decided the patient is no longer in a sufficient state of mind to process factual information. But this was one of Grandpa Doc’s clear moments and he wanted to know the truth. He figured I was the most likely person to give it to him—straight. And what was the truth? Could I really predict the future? Was I medically qualified to give any kind of diagnosis, much less prognosis, to this man so cruelly cast adrift by old age? Of course, we all knew that his condition was not reversible. But how could I tell this religious man there would be no miracle for him? Torn between the obvious and the miraculous, given this grave honor of rendering some kind of truthful information to a man momentarily clear enough to want to know what was really happening, I put my hand on his shoulder, smiled, and summoned my best imitation of the offhand remark, my best imitation of his own reassuring beside manner. You’re doing OK. You’ll pull out of this. You’ll be going home soon. He looked into my eyes and at least for a moment, he knew the truth.